Flickr is a beautiful community to be a part of. Whether you are a photographer or just enjoy seeing photos by other folks, this community has something to offer you. 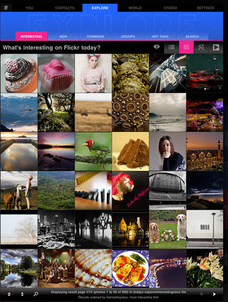 There are plenty of ways to access Flickr content on your iPad. 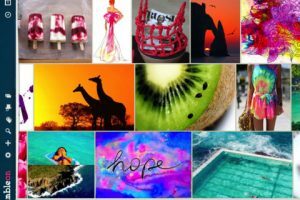 Flickr Studio is an exciting application that brings you a rich Flickr experience to your tablet, giving you the chance to browse, download, and upload photos. Flickr Studio lets you browse your own and other people’s photos. You can see photos from around the globe (using geo-tagged photos). Want to upload or download photos? No problem. The app also comes with filters and effects you can use to improve your photos with. 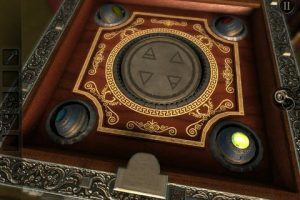 The controls are gesture-based for your convenience. Full video support is provided as well. 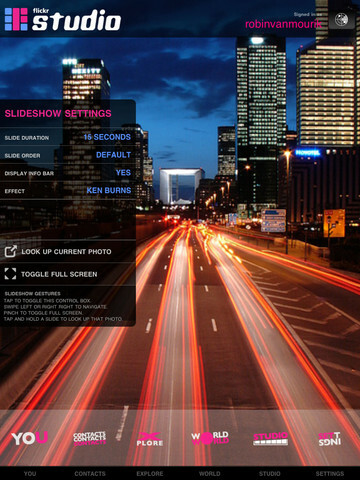 Flickr Studio is user-friendly and saves you time playing around with photos and videos on Flickr. It saves you time downloading your photos as well. It did crash on us a few times but the app has potential.